The Thrill is a new play, commissioned by the Festival, by Judith Thompson and before I even saw it a friend of mine claimed – she (Judith) should be VERY VERY grateful to the actors indeed. Said friend was right – the play is a doozy at the best of times, dealing with euthanasia as well as the right to choose ones own time of death. But it also is rather inconsistant in its views, which does not make a good play, but at least one that people are talking about. There is crippled Elora (Lucy Peacock and can this woman be anything but brilliant???) suffering from a degenerative illness that is never fully explained. When we meet her, she’s confined to a life in a wheel chair with the outlook of not being able to eat soon … she is a firecracker of a lawyer, though, trying to get national funding redirected from “Gulags” – homes for the sick and elderly – to homecare. And then there is Professor Julian (Nigel Bennett!!!) who wrote a best seller about how there should be a choice for parents to end the lives of their suffering children, a choice for everyone who suffers, illustrated by the fate of his own younger sister who, in the course of a few years, turned from a gifted, healthy child into a blind, deaf and screaming in pain sufferer with no life ahead. Elora protests during Julian’s lecture – and then the unthinkable happens – the twain meet. And they talk. And they understand each other and each other’s pain. Elora points out that if her parents had chosen to not have her, the world would have lost a brilliant lawyer, and Julian insists that he just wants to give everyone a choice – a choice that he didn’t have when his sister was day in day out screaming in pain and seizing. When the two fall in love it is against all odds and beautiful. But when Julian comes back from his marketing tour to sell his book (and the movie rights etc), six months have passed and Elora now has a feeding tube. Her voice is on the verge of breaking and it is a downhill battle from now on. Elora wants a way out with dignity and Julian, deeply in love with her, is not capable of providing it. He wants every minute with her, even when she’s not able to see or understand him. There is also a sub plot with Julian’s mother, who is increasingly suffering from dementia and depression, but it’s not very well executed by the author and didn’t bring the story along. 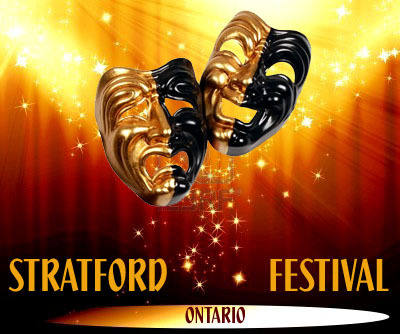 This entry was posted in Stratford Festival Ontario and tagged Lucy Peacock, nigel bennett, Robert Persichini, Stratford Ontario, The Thrill. Bookmark the permalink.